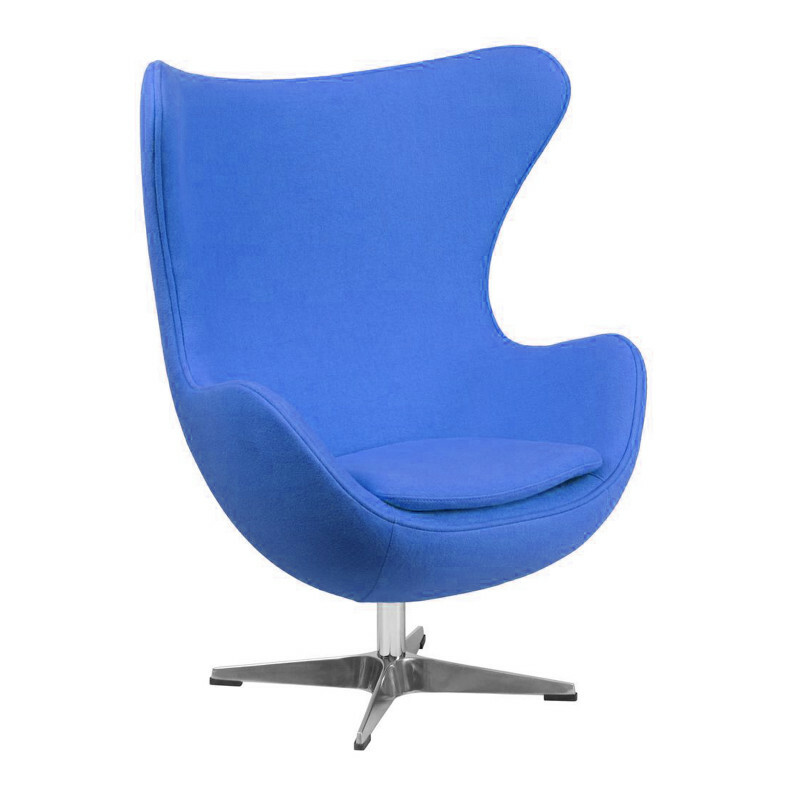 The iconic Egg chair was originally designed in 1958 by Danish architect Arne Jacobsen. Since then the design has gained a reputation as one of the most famous pieces of furniture of today and is a perfect choice for exhibitions, events and even conferences. The cult style in royal blue boasts a wing back design, curve arms and egg shaped back rest. The silver, metal 4 star base adds a sturdy, modern look to the chair. Our replica Egg chair range is available in fabric or leather and you can choose from a range of funky vibrant colours to suit your event’s theme. Why not mix and with our Swan style chairs?